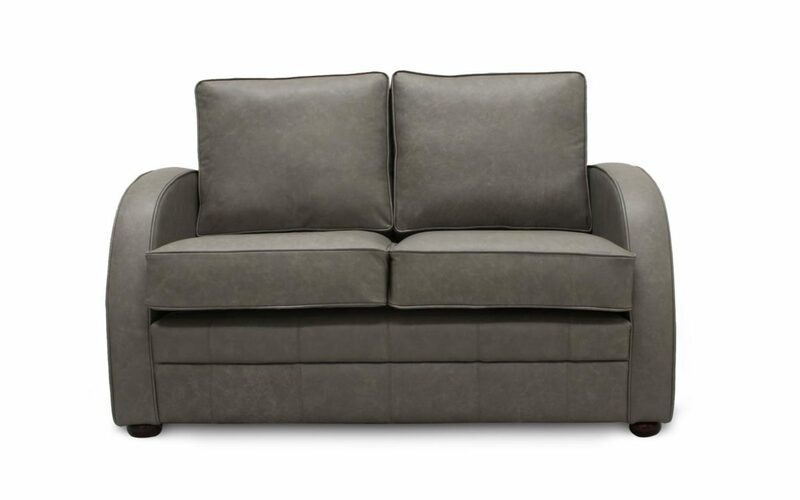 Let us introduce you to our traditionally vintage, curved arm leather sofa. Be surrounded by extravagance as you sink in to the luxury of the high backed, foam and fibre cushions, supported by a solid hardwood frame and marvel at its retro, 1950’s inspired rounded arms and classic vintage theme. 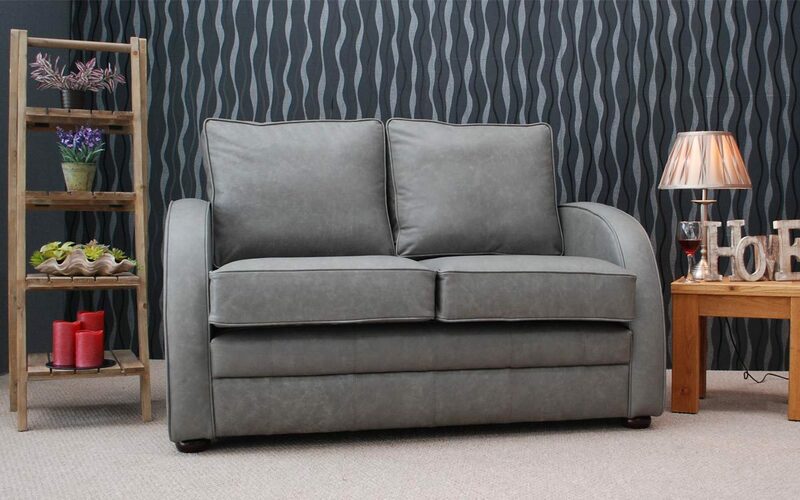 We’ve expertly designed this sofa with a rolled front panel and bun feet, to complete the piece with the classic indulgence that we have come to know and love as the 50’s. 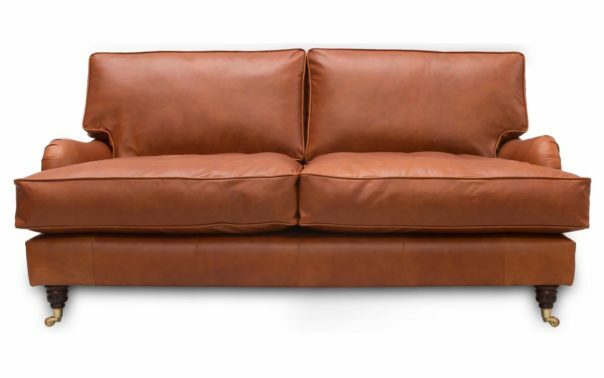 Our sofas are handmade in a selection of our full aniline leathers. 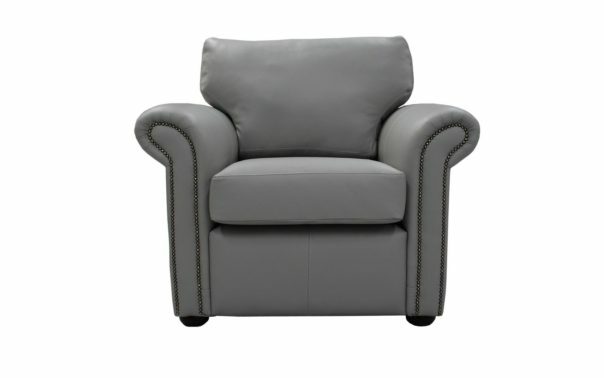 You’ll receive your handmade sofa/armchair suits within 3 – 5 weeks of placing your order with us. 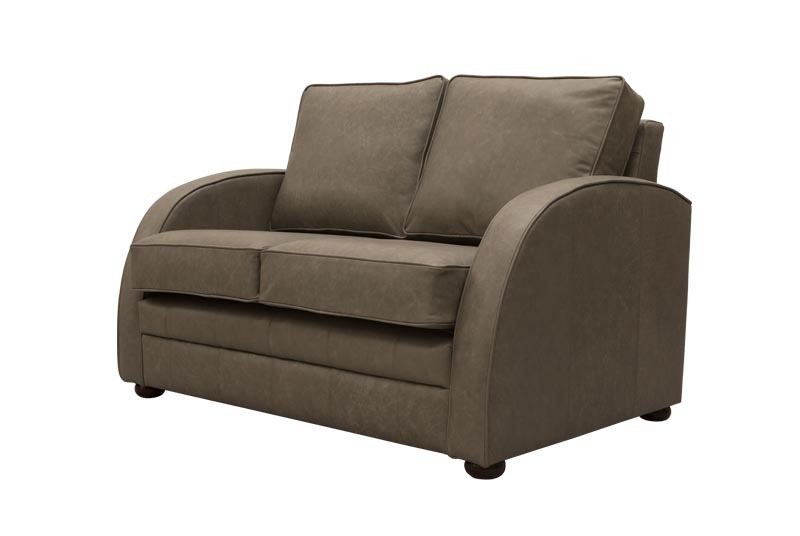 We offer a variety of sizes including armchairs, 2 seaters, 3 seaters and 4 seaters, please view our size guide below for more information on these sizes. 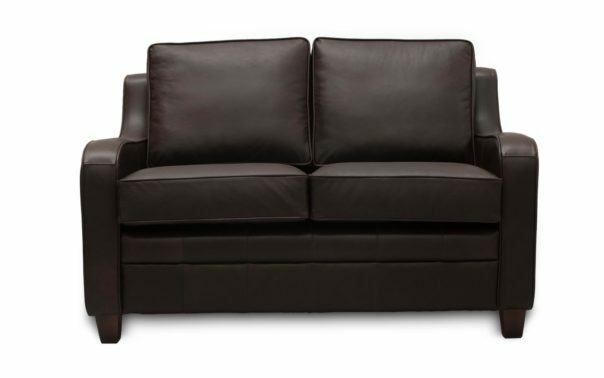 The Wicklow 2 Seater Leather Sofa pictured above is upholstered in Heritage Camelot Distressed Aniline leather which has a scratch resistant finish. Please feel free to request a selection of free leather samples before placing an order.